Just as we are passionate about optimizing your health, our patients are passionate about sharing their stories! 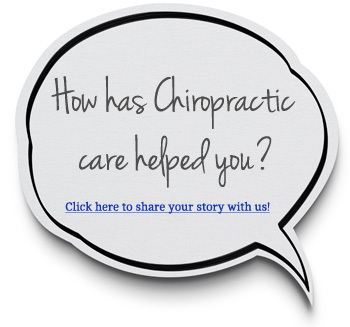 Wondering if Buckner Chiropractic Center can help? Take a look at what our patients have to say about their experiences. If you have any questions, please don’t hesitate to contact us. We would love the opportunity to speak with you. I’ve been to quite a few chiropractors in my time, and I have to say without a doubt that Buckner Chiropractic is the absolute best. They quickly showed me my problem and presented a very easy to understand, yet comprehensive care plan. I would recommend them to anyone who has back problems because they’ll get you taken care of. Love that the appointments were on time.They make you feel like they really care about you and your problems. The massage therapist really knows how to do her job. ahh it was great! She asked questions and focus on the problem areas. Love the fact that Dr. Buckner called after my first appointment to check on me around 8 pm which I missed the call but got the voice mail, that was very sweet. I cant wait until our next appointment next week! I would recommend their services to anyone! I must admit, I was slightly skeptical when I contacted the office after a car accident. Dr Buckner assured me my headache would be gone by that weekend. I admit it was gone and the back, hip and shoulder pain wasn’t as bad. I am still in therapy and I am getting better. Look Forward To My Visits! The doctors and staff at the clinic are so very nice and professional. I always feel welcomed and feel that they are going to help me. They are so positive and caring that I always look forward to my visits. Of all the chiropractic centers I have gone to, Buckner Chiropractic is by far the most comprehensive in the overall treatment of spinal/muscular care. From the warm, welcoming staff, the serene electric stimulation room, exercise room, to the competent adjustment by Dr. Buckner…you are well cared for! It’s a bonus to have an in-house massage therapist as well! Buckner Chiropractic has been a positive experience for me and my health. Dr. Buckner and his staff are heaven sent! What brought me here was actually a Groupon and the fact that all of a sudden I started having neck issues. My expectations were low. I figured I would get an “okay” massage, a couple of x-rays, and for the doctor to diagnose me with something that was going to break the bank. In so many words, I figured I would be treated like the Groupon – cheap. My experience was the COMPLETE opposite! From the time I walked in, I felt like a member of the family. They took their time and gave me a complete tour of the facility and even gave me this welcome bag. They did this without even knowing if I would become a patient. This is just their personality. Kayla’s smile greets you at the front door and makes you feel welcome. Tiffany is, by far, the absolute best massage therapist that I’ve ever encountered and her sense of humor is pretty amazing. The ladies in the stimulation room are really friendly and put me in a relaxing mood before my adjustment. I dare not forget the ladies in accounting. Sure, they are there to handle the financials, but they make you feel like your treatment plan is your blueprint to a healthy you PLUS they take your money with a smile. Lastly, the doctor himself…Dr. Buckner is a gentle giant that knows his stuff. He takes his time to design a treatment plan that will have you feeling great when you leave. I experienced immediate relief after the first visit. After a rough day, getting an adjustment is just what the doctor ordered! I would highly recommend my new family down at Buckner Chiropractic! I have dealt with doctors telling me that the only way for me to live without pain is to take medications, get painful shots, and to eventually have surgery. I decided to visit Dr. Buckner again after 10 years. The minute I stepped into the office I felt as though a weight was lifted, everyone is concerned with how I am feeling. Dr. Buckner is wonderful with his patients. The staff is so friendly and helpful. I definitely recommend this office to anyone who needs their help. Ready to begin your own journey? Contact our Madison office today!